Thursday, November 29, 2012 at 3:52pm. PADNUG - Erik Howard: Machine Learning for Non Data Scientists! PADNUG - Damola 'D' Omotosho: Startup .NET: Stories From the Field! PADNUG - Donovan Brown and Dave Harrison: DevOps Pipeline in One Hour! 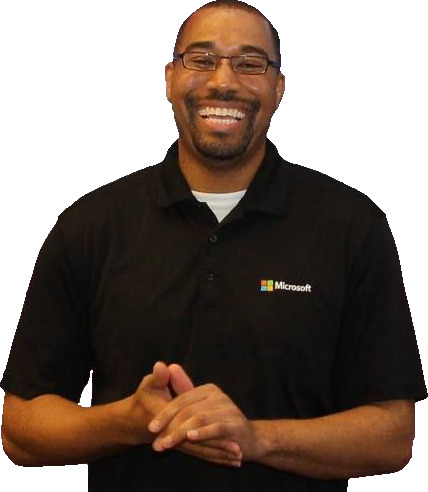 Donovan Brown – the Principal DevOps Program Manager from Microsoft - will be repeating his bravura VS Live performance with a no-slide extravaganza. We’ll be building out four – yes four! - DevOps pipelines from scratch in 1 hour. ASP.NET, ASP.NET core, Node.js, and Java to both Docker and Azure App Service. Crazy, crazy stuff – you’ll never get a better start to finish view of building out DevOps in practice for your release management pipeline! Donovan has an active and highly followed blogsite at http://donovanbrown.com/. Donovan is a very heavy hitter at MSFT in DevOps on a worldwide scale – and has a solid national rep of being a very engaging, knowledgeable, and entertaining presenter. PADNUG - Kirk Davis and Paul Fryer: Building .NET Serverless Applications with AWS! A serverless approach to computing is one where services required to run a system are managed and automated. Developers don’t need to worry about running server instances and you pay only for the time code is actually executing, instead of servers hosted by the hour. Learn how to build .NET based serverless applications with Amazon Web Services (AWS). We’ll build an ASP.NET Core API and deploy it to AWS’s function as a service, Lambda and API Gateway. Then we'll deploy a single page application (SPA) with AngularJS using AWS’s storage service, S3 and content delivery network, CloudFront. This entire serverless application will be built, deployed and ready to serve at scale during the demo. Join CodeVana for a fun filled afternoon and spring into coding with this free workshop. Come for just an hour or stay for the whole afternoon. Come with your family and friends and learn the skills to make a web app, a mobile app. Please bring your laptops. This workshop is geared towards children and families. Come find out what all the buzz is about with Docker and containers in general! Come on out and catch up on this great technology! Shawn Wildermuth's Hello World Road Trip with Special Guest Erik Mork! Go there instead of or in addition to registering here! After a shortened World Tour and a broken arm, Shawn is ready to hit the road again! He's bringing his love of software development and the stories from his podcast to twenty-five cities in this exclusive free community event! Here in Portland, Shawn will be joined by Erik Mork. Erik is the creator of Ronnie Robot. He’s interested in all things to do with the mind - especially learning, collaborative play and other aspects of development. He founded Silver Bay Labs (a software consulting company), his work has been mentioned in the New York Times and he has been a professional programmer for 15 years. Bruce writes C# programs that control industrial machines. His software controlled the creation of the Strati (the world’s first 3D printed car) and is shaping turbine blades at GE Aviation. He's currently working on systems that will turn precision watch parts in France, cut battery components in China, mill bearing races in Ohio, and cut boat parts in South Carolina. He is one of the best software engineers in the world in this particular specialty – and will be sharing many of his most effective techniques with you! • An efficient application architecture for machine control. • Robust communication with motion controllers and other devices. • WPF techniques for screens that operators (and clients) will love. • Protecting your data from operators who will cut power to the machine. • Simple and effective internationalization using Microsoft Translation Services. There is a serious shortage of talent in this important field. A developer who is capable of delivering a reliable and attractive machine control application in a short time frame will have a very successful career. Furthermore, even if you are currently working in a different field - if you are working with C# and WPF - then be assured that you will take away something of interest from this presentation. • Tools that sparkle – using Octopus to handle release management, and TeamCity for monitoring and op insights, Chef and Puppet for configuration management and deployment. I will describe computation expressions or monadic computations, which is the unique F# feature that makes it possible to introduce language integrated domain specific language to control the custom flow, side effects, ambiguous unpredictable behavior and shows absolutely innovative usage of F# language. You'll see the open-source MBrace framework built on the base of F# computation expressions as a distributed computational framework engine for cloud computing and performing highly loaded jobs on big data, executing in non-blocking way, managing the state across the cluster of same-network nodes and making all that stuff easy for the software engineer. I will give you a tour through MBrace framework constructions, its architectural design and practical implementation model and demonstrate the full solution potential with Azure infrastructural services and open source Brisk Engine. As a result, you'll see the undeniable advantages of both individual technologies: F#, MBrace, Azure and their combination in solving complex and frequently used tasks, like highly scalable data-intensive computations, processing of huge amounts of distributed data in cloud environment. In this local event that will bring the community together, we will introduce students to coding in a 3 hour hands-on session. It is open for ages 6-104! There are 4 seperate events from Friday 5pm until Saturday 8pm. Choose one or stay for more than one. Metro... no wait WinRT... no wait Window 8... no wait Windows RT... no wait Windows Store Apps - argh!! to much confusion! So what does WinRT have to offer? Is it worth the effort to learn it? This presentation is about Charles' experiences with WinRT as he dove into learning WinRT back in December of last year and what he has discovered along the way. He will attempt to give you the width and breath of what WinRT has to offer using C# and XAML but the presentation is not about C# and XAML. He came from a WPF/XAML background so it was natural fit for him. In addition, he intends to poke a lot of fun at Microsoft, Google, and Apple - especially at their marketing departments! Along the way we will have a bit of a history lesson coupled with a group quiz and in addition, we will try to discern the future. Oh, and who the heck stole the "Start" button! "That totally stinks!" - Bob "Bulldog" Brisco host of the Gonzo Sports Show KACL on Fraiser. Dave Harrison will be joining us to demonstrate how you can adopt Agile techniques in a way that fit in YOUR company's structure! You will learn how to align your work to align with company goals. It will help eliminate wasted code by getting more regular feedback and by trimming out features in your software that the business wants but doesn't need. This is can be vital in helping to cull out technical debt. The best part? You may see yourself less frustrated during your day at work... and putting in less time over the weekends and nights trying to put out fires. You will see such things as: The Tolstoy Test (How do you know if you’re doing REAL Agile Development?) Finding your own way up the mountain Devs are from Mars, BA’s and PM’s are from Venus (very different perspectives of work) Sneaky guerilla tactics to get Agile working in your company – grassroots style Cut your administration/project management time down to 2 hours a week TOTAL – getting your dev leads back into the game! Advanced capacity planning and keeping your promises Lessons Dave learned by failing spectacularly! But there's more! Scott Hanselman and Rob Conery of "This Devloper's Life" will also be joining us in the meeting. Mobile first and responsive web design aren’t simply two great tastes that go great together. No they represent much more than that. Mobile first responsive web design is the responsible way to build responsive designs. Mobile first responsive web design is the best way to build something that is both responsive from a layout AND a performance perspective. But if mobile first is the right way to do responsive design, then why are so few people doing it? In this presentation, we’ll dig into why mobile first responsive design matters and the five techniques necessary to make it work. Jason Grigsby was one of the project leads on the Obama iPhone Application and helped design the user interface for the Wall Street Journal’s Blackberry application. He founded and organizes Mobile Portland, a local mobile development user group. Jason built his first web page in 1995. He has spent the last 11 years building web sites professionally before being bitten by the mobile bug prompting him to throw caution to the wind and start a new company focused on mobile and web development. He blogs at CloudFour.com (http://cloudfour.com/) and can be found on Twitter as @grigs (http://twitter.com/grigs). For the most part, the "Left Brain" of the Agile Manifesto remains aspirational at best. It is interesting to note then that the overwhelming majority of software development projects have chose a "Right Brain" form of Agile, and invariably have chosen Scrum, the most process-and-tool-heavy system to deliver "Agility." Further, a reflection on the adoption of Agile leads to the unpalatable conclusion that Agile has been co-opted by "Scrum, Inc." Instead of focusing on Individuals and Interactions, Scrum, Inc. would have Agile practitioners believe that software development efforts, and can be reduced to users stories, task lists, and burn-down charts packaged in SBaaS (Silver Bullet as a Service). The goal of this presentation is to untangle Agile from Scrum and to define a process that will re-align software development projects back on the "Left Side" of the Agile Manifesto and provide a framework for establishing a qualitative analysis and cost savings analysis for a "Left Brain" approach to Agility. As we normally do in December, we will be having a little bit of EXTRA fun for the meeting! First, we will be having a much broader food choice than our normal pizza! We'll have a selection of pastas and salads to make your mouth water. Don't worry, though - we'll have a few token pizzas for the die-hards among us :). Second, Kelly White will be presenting "WinPhone 8 In-App Purchases". This is the critical monetization mechanism for developers today on mobile devices. Windows Phone 8 adds comprehensive support that opens a new world of opportunity to developers. He'll discuss this feature in depth during this session, including demos for implementation and testing! Third - and I'm really excited about this - our swag pile this month includes a BRAND NEW MICROSOFT SURFACE!!! Seriously! Finally, we’ll wrap up our evening with After Words at the new BJs Restaurant and Brewhouse at the corner of Cornell and Cornelius Pass Road. Do NOT miss out on this meeting! Please join us Tuesday night for the PADNUG November meet-up! Despite some civic event going on this coming Tuesday, we've got some of your favorite presenters coming to bring you highlights from the //build/ Conference! TOPIC: //build/ is happening RIGHT NOW and not everyone in the group went :(. So, what we can do is bring several of the folks that are going to //build/ in to the meeting and get everything out of their brains that we can! We'll start with each panelist giving a brief description of what he found that was 'cool'. Then, we will open up the floor to questions and interaction with the audience! I fully expect some demos, too! For small businesses and entrepreneurs: Keeping up with technology plays a vital role in the success of any business. Learn about cutting-edge technology that can take your business to the next level of efficiency, helping you cut out wasted time and focus on culture, sales, marketing, and growing your business. Please join us Tuesday night for the PADNUG October meet-up! Please join us Tuesday night for the PADNUG September meet-up! This month, Adron Hall will be presenting on Platform as a Service (PaaS) in .NET. WHO: Adron is a coder, Iron Foundry Organizer and Tier 3 Lead at Tier 3. He is also the Lead Cloud Deployment Developer at New Relic. Adron's blog is at http://compositecode.com/ and you can connect with him on Twitter at @adron. TOPIC: This session will cover the major advances of platform as a service technology with relation to .NET, what's available in the OSS space to enable faster, easier, higher quality software development cycles in the cloud and how Microsoft is participating and involved. I'll also have a demo of deployment scenarios across multiple cloud PaaS offerings including Windows Azure, CloudFoundry/IronFoundry, and AppHarbor with .NET and Node.js. By the end of this presentation everyone will have a good understanding of Microsoft's positioning and why PaaS is the binding to the future! Please join us Tuesday night for the PADNUG August meet-up! This month, Dave Harrison will be presenting on Agile Development. WHO: Dave is the .NET lead developer at Columbia Sportswear. Please join us Tuesday night for the PADNUG July meet-up! This month, Kelly White will be presenting on Windows Phone 8.
WHO: Kelly is the principal of Silvertail Software, which specializes in software consulting and product development for Silverlight, mobile, and cloud-based applications. He co-founded the Portland Silverlight User Group and Portland Windows Phone User Group with Erik Mork. Kelly is a regular guest on the show "This Week in Silverlight" on the Sparkling Client podcast, and presents regularly at User Groups and Code Camps throughout the Pacific Northwest on Silverlight and Windows Phone 7. TOPIC: Microsoft has finally pulled back the curtain and revealed what’s coming this fall with Windows Phone 8 (codenamed Apollo). This is going to be exciting - there’s native development, in-app-purchases, a new shared core with WinRT, true enterprise LOB support, and much more. I’ll be breaking down the new features and be sharing my strategy for getting started, and how to prepare for Win8/WinPhone8 shared development. Finally I’ll be answering all your questions regarding the upgrade story. Please join us Tuesday night for the PADNUG June meet-up! This month, Michael Johnson will be presenting on Metro-style application development for Windows 8.
WHO: Michael Johnson is the new Microsoft Developer Evangelist for our area. TOPIC: A Lap Around Windows 8 Development: Building Metro Style Apps - What developers need to know to create a Metro style app for Windows 8. This session will cover updates to familiar features and explore concepts that are new for Windows 8. This session will show you how to turn your skills into money-making Metro style apps. Please join us Tuesday night for the PADNUG May meet-up! This month, Kathleen Dollard will be presenting on MVC extensibility with MEF. TOPIC: MEF offers a great tool for composition and MVC offers an extensibility model designed for composition. Combining these two demonstrates a great composition design with nearly unlimited flexibility conditionally exposed as you need more features within MVC. You’ll learn how to use dependency injection (DI) to componentize tasks following single responsibility principle for more robust and testable applications. You’ll see how MVC uses custom model binders, value providers, validators, and filters. You’ll see these techniques used to pull almost all code out of the website project, giving you full flexibility in how you organize your website’s code. You’ll also see generic base classes that allow extensive reuse of controller logic and reuse of page elements. This challenging talk offers something for everyone – deeper insight into composed systems using DI, details about MVC internals, and some serious MEF examples. A last-minute change to Tuesday’s line-up: Nick Muhonen will not be able to do the presentation we were hoping, so Chris Sells has graciously accepted the promotion from Code Monkey to presenter! Chris will be sharing details about how using Windows 8 App State and will demonstrate how a user can share it between multiple computers. Imagine Kindle's Whispersync for all of your applications - not just books. Please join us Tuesday night for the PADNUG April meet-up! This month, Nick Muhonen will be presenting on developing managed applications for Windows 8. TOPIC: Nick will discuss developing managed applications for Windows 8. We've seen a great deal about what isn't the managed code - now let's bring it back to the world we know! Nick will also have Chris Sells join him on stage to do Code Monkeying! People you can trust. Results you can count on. Please join us Tuesday night for the PADNUG March meet-up! This month, Michael Johnson will be presenting on creating Metro style applications for Windows 8. TOPIC: Windows 8 introduces a new and ready-to-use set of user interface controls to help create beautiful Metro style apps quickly. Learn about these powerful and highly flexible controls and how to use them to implement the common patterns that deliver great Windows 8 Metro style apps. Please join us Tuesday night for the PADNUG February meet-up! This month, Adron Hall will be presenting on Amazon Web Services development with Visual Studio. WHO: Adron Hall is CTO of Three Step Solutions, working with startups and small businesses to get the right architecture, build and deployed product into place. He is one of the Node PDX organizers (RSVP now - it is next weekend!) In his day job Adron works on enterprise systems for Russell Investments. Adron's blog is at http://compositecode.com/, and his Twitter handle is @adron. TOPIC: In this presentation we jump straight into the middle of web development using VS 2010 with AWS Toolkit as our primary deployment tooling. The tooling enables single step deployment to one, or 5,000 instances, in various ways, with multitudes of networking options, traffic distributions, etc. At the end I demo a sample application, using several of the Enterprise Tools & Open Source Tools many .NET Developers use, I deploy an application live. Please join us tomorrow night for the PADNUG January meet-up! Sorry for the late notice. This month, Chris Sells will be presenting on Windows 8.
WHO: Chris Sells is Vice President of the Developer Tools division of Telerik. He is a former Microsoft employee who most recently was the Principal Program Manager for the Developer Division working on Visual Studio.. Chis is also the author of several books. TOPIC: You've probably seen that Chris Sells (http://www.sellsbrothers.com/) has now joined Telerik. First, that's cool! Second, This means that Chris has more time to interact with the local community. Third, and to some extent the coolest, there are now things that Chris can share with us about the upcoming tech in Windows 8! Join us! Please join us Tuesday night for the PADNUG December meet-up! This month, Kelly White will be presenting on Windows Phone development with HTML5 and PhoneGap. TOPIC: Nitobi and Microsoft announced that the HTML5-powered cross-platform mobile application development framework known as PhoneGap now supports Windows Phone 7 “Mango” devices. With PhoneGap developers can write their application once and target iPhone, Android, BlackBerry, and now Windows Phone. This announcement doesn’t preclude the end of native development. Rather it gives us the range of development options that match the variety of our business models and needs. During this session I’ll be providing background on PhoneGap and other HTML5 mobile frameworks. We’ll talk about why and when it makes sense to choose these over a native approach. There will be code, there will be demos, and we’ll see how well this can shine on an actual device. This month, Patrick Cauldwell will be presenting on Mercurial. WHO: Patrick Cauldwell is a Senior Software developer/architect at WebMD, specializing in the design and development of scalable, modular internet applications. He is an experienced trainer and presenter on software and related topics, as well as a Certified Scrum Master with 8+ years of experience on Agile software projects. TOPIC: Many organizations are moving toward distributed source control systems such are Mercurial and git. These systems use a model that is radically different from more "conventional" systems like SVN or TFS. We'll look at how Mercurial works, how it's different, and some best practices that can be applied to make working with Mercurial easier and more productive. Please join us Tuesday night for the PADNUG October meet-up! Sorry for the late notice. Also, please note the new location at Intel Hawthorne Farms. This month, Nick Muhonen will be presenting on Windows 8. TOPIC: Nick explores his findings from Microsoft’s latest BUILD dev event. This presentation will include a Windows 8 tablet demo, WinRT discussion, and .Net Developer job security discussion. Agile PDX (formerly XPDX) features: Nancy Van Schooenderwoert, "Transient State: From Funding to First Iteration for Embedded Systems"
Dates/Times: Thursday, September 9th, 2010; Networking @ 6:00 PM; Seminar 7:00-8:00 PM Location: Intel Hawthorne Farms 3 (HF3) Campus, 5200 NE Elam Young Pkwy, Hillsboro, OR 97124 - View Map Directions: From Cornell, head South on NE Elam Young Pkwy (near Costco). Take the first left to turn into the Intel parking lot. The HF3 campus will be directly in front of you. Parking is available on both sides of the building. We measure project success by the team's ability to efficiently and reliably deliver valuable, high quality software to the customer. Increase the prospect for project success by ensuring team members have the skills for effective collaboration and clear, unambiguous communication. In this talk, Diana Larsen will describe the six collaboration skills teams need and show techniques to get them active in your team. Diana Larsen is known in the software industry for conducting project retrospectives and transitioning groups to Agile processes. She is one of the founders of FutureWorks Consulting, LCC where she consults with leaders and teams to create work processes where innovation, inspiration, and imagination flourish. With more than fifteen years of experience working with technical professionals, Diana brings focus to the human side of organizations, teams and projects. Diana co-authored Agile Retrospectives: Making Good Teams Great! She publishes articles and write occasional blog posts at “Partnerships and Possibilities”. Current chair of the Agile Alliance Board of Directors, she co-founded the “Agile Open Northwest” conference and the international “Retrospective Facilitators Gathering”. Plan on coming early! In collaboration with the Pacific Northwest Software Quality Conference (PNSQC) the SPIN meeting will have pizza and soda provided by PNSQC beginning at 6:00 pm.